After a long gestation period, e-commerce has matured and is now likely to become the CRM for the business-to-consumer (B2C) business process. E-commerce has been around for a long time, you might say, so what’s special now? Or what about regular CRM for the B2C market? But while e-commerce has certainly been out there, it hasn’t been CRM quality. It’s been more like ordering at the drive-thru than fine dining. Also, as markets consolidate and products commoditize, it gets harder to justify employee involvement in customer-facing processes if automation can do the job. 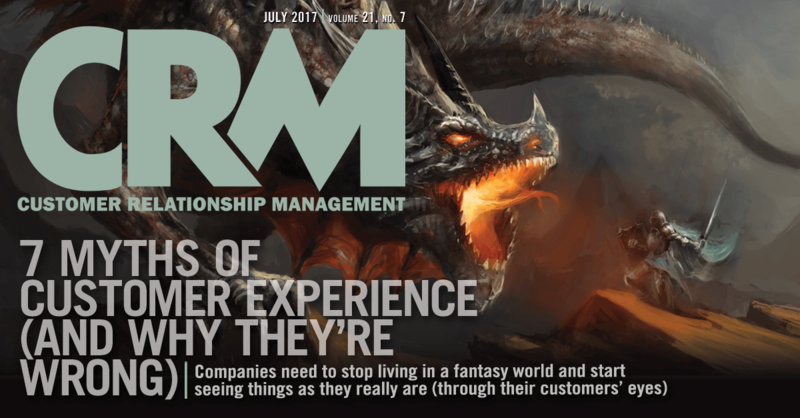 What makes e-commerce an upgrade to CRM? Analytics. If you don’t have analytics and machine learning plugged in already, your five-year-old e-commerce system didn’t suddenly become a CRM system. We’re talking about a sea change that snuck up on us. Take a look at what Oracle and Salesforce.com (just to name a couple of companies) have been putting out this spring, and you’ll see what I mean. Their offerings are chock-full of intelligence that can turn an unmonitored quasi-self-service session into a thing of beauty. Less than a year ago, Oracle launched Adaptive Intelligent Apps, its way of adding machine learning and analytics to many of its CRM apps. At the moment, that means adding next-best algorithms to apps to expand interactions. In customer service, the machine logic provides agents with insights to help customers, and the same is true in retail, where e-commerce really shines. Which brings us to Salesforce. The company announced at DreamForce last year that 2017 would be the year of Einstein, meaning all of its CRM solutions would get analytics and machine learning built in. Salesforce bought Demandware less than two years ago, and the e-commerce solution was a mature offering even before adding Einstein to the picture; but with those two technologies together, Salesforce has something powerful. The Salesforce Commerce Cloud is not only full of suggestions for what else might complement a purchase but also does a nice job of incorporating brick-and-mortar stores into the retail experience. At last there’s a solution to the silly binary question of either e-commerce or traditional stores, and the answer is an out-of-the-box both. Users can take orders from the website or in person and ship from the warehouse or from a store, or let their customers drop by to collect orders. You might say, “So what? All vendors are doing similar stuff.” And you’d be right. My amazement and delight come from watching this convergence in action, and from the way the industry is coming together around using intelligent systems. It’s just such a powerful idea that there’s no argument. But none of this gets us all the way to CRM. For that, you need to understand that marketing and possibly customer service are apps that might be used in this new setting. Tools like journey mapping take on a whole new aspect when linked to e-commerce. We’re already used to seeing some form of journey mapping used in retail transactions, but what I’ve seen so far is limited to emailing offers and either seeing uptake or not. With marketing tightly integrated with e-commerce, there’s the opportunity to manage the relationship as much as the transaction. Other tools like marketing automation slide right into the batting order so that vendors can design end-to-end processes that efficiently get customers what’s needed without inserting an expensive person. If the past is prologue, this will save a boatload of cash and give customers more of what they want, which today is an efficient experience that lets them get on with the rest of their lives. Adding intelligence to common e-commerce functions so that CRM ideas can be applied to mass markets has been a long time coming, and I am glad to finally see it. Don’t worry about jobs lost—freeing up labor from rote service provisioning will likely give us more hands on deck to help with higher-value-added things. And isn’t that the point of more intelligent systems?